How to minimise allergen cross-contamination using colour-coded equipment and colour-coded site segregation. This Blog lists the hygiene requirements within BRC issue 8 and provides information about how Vikan can help with each. 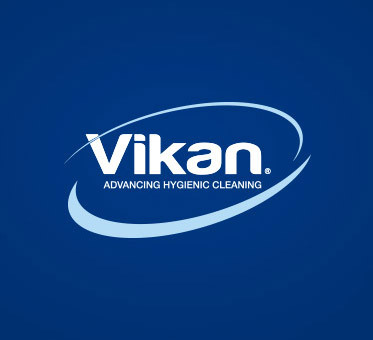 Vikan Declarations of Compliance(DoC) are your guarantee that Vikan plastic cleaning equipment and food handling tools contain no toxic substances that could contaminate food. Vikan DoCs are clear, easy to read and always up to date. Get valuable insights from Dr. Phil Voysey to where to look for listeria in a food production and how to prevent cleaning tools from cross contaminating. Learn more about listeria and read Dr. Phil Voysey’s blog post here. What’s in a brush? Well, it’s a question we take very seriously – and quite literally. As a matter of fact, you can trace the entire 120-year history of our company by examining the materials that comprise the products we make. There is no doubt that Vikan’s 120 years of growth – and the company’s current position as global market leader – are closely linked to technology. Why does Vikan have an export office in Copenhagen? If you produce chilled, ready-to-eat foods, you’ll need to know where you have to clean to avoid food contamination. This post details the most common Listeria hideouts – and how to clean for this dangerous bacteria. What can our expert Hygiene Team do for you? At the centre of our work with food safety and hygiene is our dedicated Hygiene Department. Find out what they can do for you! Don’t rush. Take a breath and start paying careful attention to the buckets used in the food and beverage sector. When it comes to cleaning walls in your factory, forget hiring a cherry picker and scrubbing with hand cloths, Vikan have a solution which will remove dirt easily and effectively in a short space of time. Did you know that the majority owner of Vikan supports scientific research in diabetes and cancer? Are you also wondering how a Danish rooted manufacturing company of cleaning tools and solutions and scientific research in diabetes and cancer are correlated? What do caviar, sushi and burgers have in common? What do you think when you see the words caviar, sushi and burgers in one sentence? Did you know they’ve one thing in common? What information is mandatory in a Declaration of Compliance (DoC)? The nine items you need in a DoC. Is your Vikan bucket half full, or half empty?